Devoted to helping you protect what you have worked so hard to achieve, Lerman Law Associates, P.C., in Atlanta, Georgia, provides unmatched legal counsel and support to a diverse range of clients throughout the greater Atlanta metro area and all across North Georgia who have legal needs affecting their businesses. In addition, the law firm also provides comprehensive estate planning solutions to individuals and families as well as invaluable representation for all types of real estate transactions. With three law offices across the area, Lerman Law Associates, P.C., offers convenient access to the quality, personalized and value-added legal support you deserve. 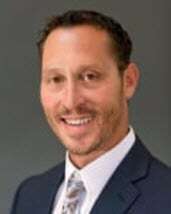 The law firm's founder, attorney Craig Lerman, has practiced law for more than 16 years, and he holds a Master of Business Administration. This enables him to better address your needs and help you face the logistic, economic and legal challenges that come with running a company. No matter how simple or complex your needs and goals, you can rely on Mr. Lerman and his office to help you find the quality, cost-effective solutions you seek for your business formation issues, contracts, intellectual property matters, securities law issues, corporate capital needs and more. Mr. Lerman also offers retainer agreements that will allow him to serve as your dedicated counsel on all of your day-to-day operations without the added expense of a full-time in-house attorney. For more information on how Lerman Law Associates, P.C., can best assist and support you and help you increase your company's chances for success, you can contact his law office to schedule a free initial consultation.